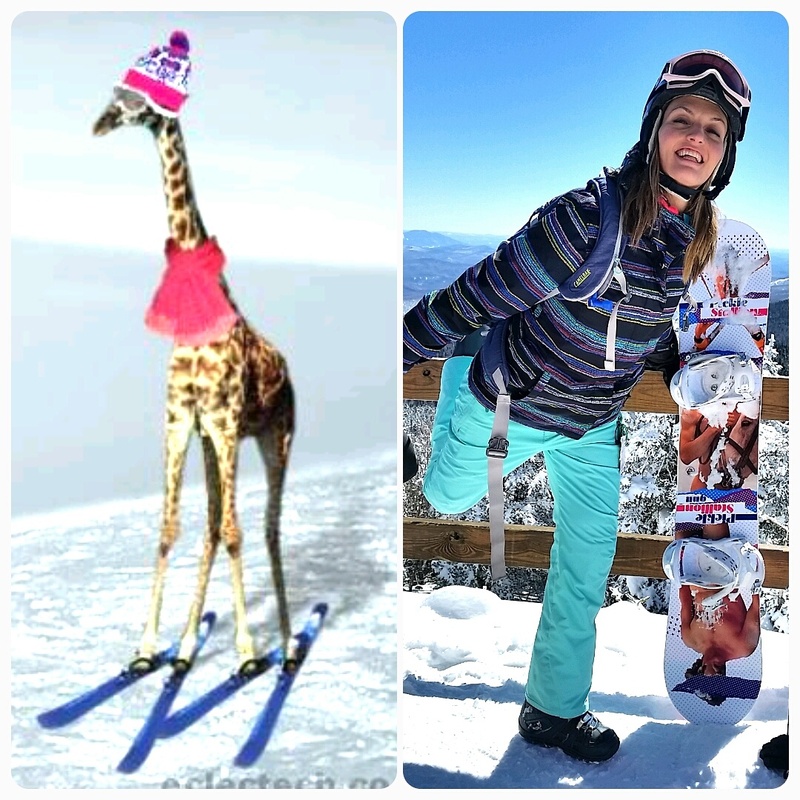 Well, I may not be a flying turtle and I am not adopted (my parents are equally unskilled in any athletic endeavors) but I am most definitely a snowboarding/surfing giraffe Who do I aspire to be then? Read my previous post on 5 Things I Dream About. In the “snowboarding giraffe” spirit allow me to tell you a story about my friend. I shall call him Tim. (And hug him and squeeze him, etc…:-) His real name doesn’t matter, he’ll never read my blog anyways, Tim is too cool for social media! Tim is the type of friend each of us has, the one that inspires us, supports us in all our shenanigans, and believes in us even when we stop believing in ourselves. If I had to name one person in the past 2 years who has had the biggest influence on my surfing/ snowboarding, it would be Tim. Even though I didn’t see Tim in the last 2 years, let alone surf or ride with him (oh what a treat that would have been!). I met Tim in NH, prior to my first snowboarding season and way before I started surfing. I had just moved there and had started exploring the great outdoors. I was 2 (a whole 2!!!) hikes deep into my outdoor skills when I met Tim. Soon after we met and became friends Tim moved to CA to chase waves. I haven’t seen him since. I don’t know exactly where he is. Tim travels a lot. But no matter how far he travels, Tim is always there for me when I have a surfing/snowboarding question. Tim advised me on my snowboard purchase, he chimed in and saved me quite a lot of $ when I was getting new bindings. Tim shared all his insight when I was buying a surfboard. Tim had time for me. But what’s more important, Tim had patience for me and believed in me. We shared a passion (ok, maybe a couple passions :-)). Tim never judged me or said I wasn’t advanced enough to be his friend. Tim would call me “lady boss” and cheer all my successful and unsuccessful snow/water attempts. He never cared how good or bad I was. Tim was proud of the fact that I never gave up. Why am I telling you the whole story about Tim? Because I want to share with you the 2 most important things Tim has taught me. No, it had nothing to do with stance or pop up or equipment. It was about smiling, being a kind and truly happy human, and having fun! At the end that’s what being outdoors is all about! 1) It is not about who is the best surfer/snowboarder that day, what matters is who is having the most fun! 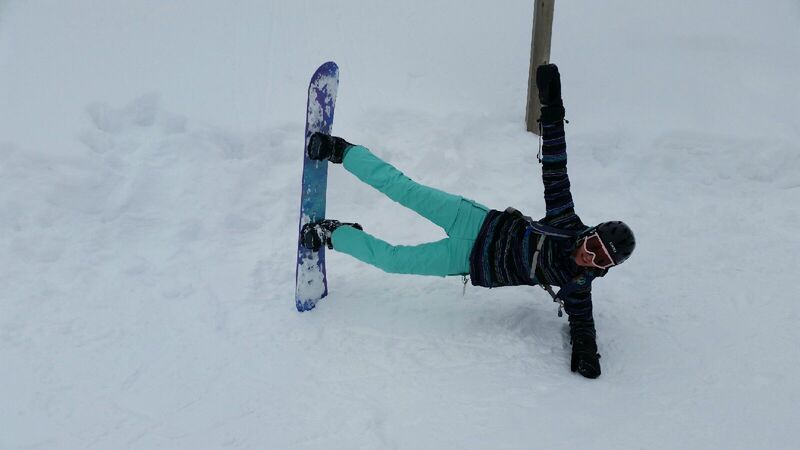 I’m the clumsy giraffe that rides is the brightest outfit on the slopes flashing the widest smile on the mountain. Don’t tell me to get low, I already squat enough, you just don’t understand #giraffeproblems #legstoolong I’m the surfer in the tiniest bikini (if water temp allows it) and I giggle like a school girl every time I catch a wave. 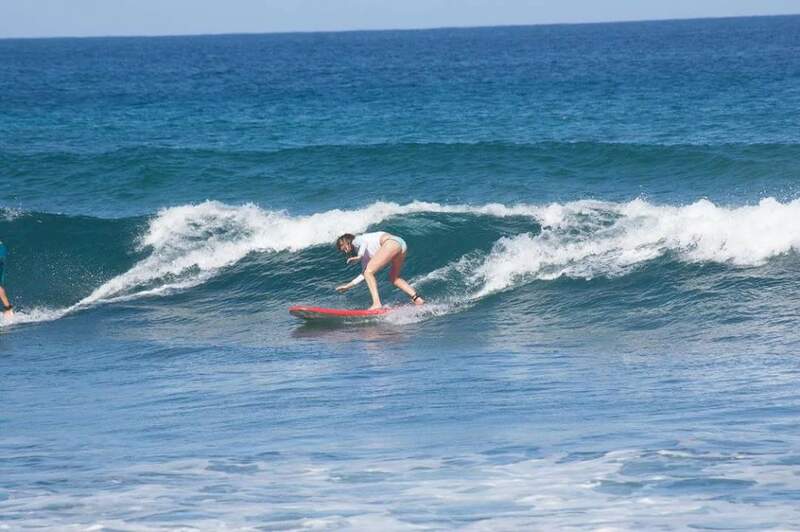 My long mermaid tail gets in the way and my pop up is still too slow even after an year of surfing… If only 10% of my passion for surfing/snowboarding was actually skill, I’d be pro material. The only sport I’m talented in is tubing, let me know if you find a pro team for that discipline . 2) Enjoy being a beginner for as long as possible. You will ride plenty of advanced slopes, but you will be a beginner with butterflies in your stomach on the bunny slope only once! 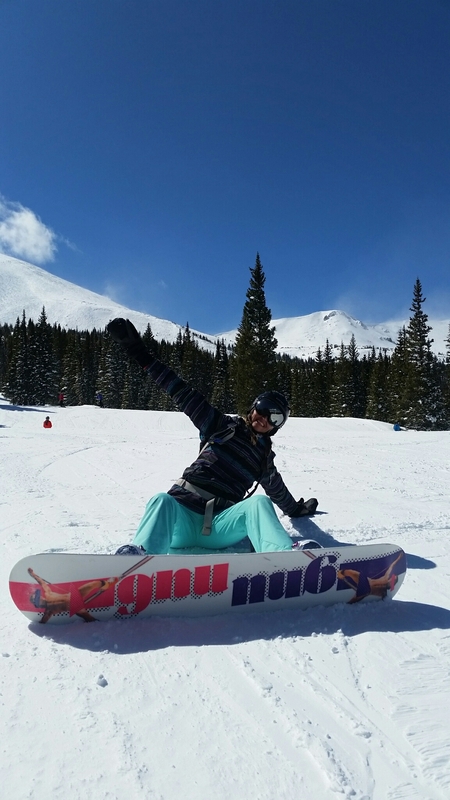 This season when I rode plenty of steep terrain in CO and scared the sh*t out of myself, I returned to the rolling blue hills the very next day and played around like a puppy in the fresh snow all day, just for giggles. Just because it was fun. Just because I don’t care what people say. Just because I know Tim would be proud! My advice to y’all is find your “Tim”! Find your source of knowledge and your cheerleader. And then thank them for everything they’ve done for you without even realizing it. This post is a tribute to the “Tims” of the world. My Tim will probably never see it, but it is here for him, gratitude in writing!